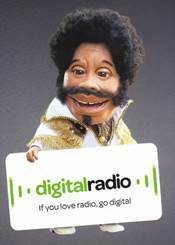 Join the growing number of people who are tuning in to digital radio. With exclusive, award-winning stations such as BBC Radio 6, and interference-free listening, DAB is a compelling option as your in-car audio system. We carry a range of top brand digital car radios. Browse below to find the stereo that suits you. Use the filter on the left to check if a particular feature you looking for is supported. Don't forget we stock the full range of car stereo fitting accessories and provide a UK wide installtion service. A one stop shop so you can buy your car stereo hassle free. 6.2" LCD screen clear resistive touch panel. With the variable colour option you can change the colour of the keys to match your cars dashboard lighting. Kenwood’s new DNX450TR Multimedia system includes Garmin’s truck and motorhome navigation. When installing this system an easy customisable set-up menu will allow you to enter the height, width, weight and number of axles on your vehicle. Once the system has this information it will select suitably safe journey directions. Also screen warnings will appear to give large vehicle hazard alerts in grey, amber and red depending on the severity.